I love these, even though they're vegetarian! Just kind of threw together the recipe one day several days ago and stumbled upon it today, so I thought I would share it with you guys. Enjoy! I'm not the biggest fan of corn tortillas unless they are fresh, and I've never made them fresh (I have the stuff to make them now, so I will be trying this soon). I just go with flour tortillas. You can always go with store bought, the fresh ones just taste so yummy. Combine dry ingredients. In a sep. bowl, wisk the wet together and slowly add to flour mixture. The dough will be sticky. Knead for 2 minutes (will remove stickiness) set aside and cover with cloth for 20 minutes. The dough will not rise, but it needs to rest. cut everything up small, throw all but tomatos in a large frying pan, add about 1/2 c water. Take another pan, put in one can of sauce, and add the tomatos and taco seasoning. Add a scoop or two of the sauce to the veggies. 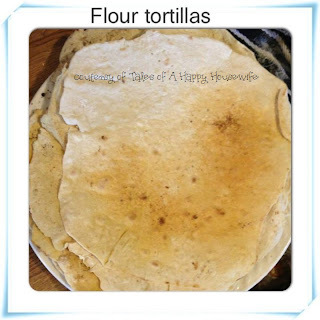 Once everything is all cooked up, take the tortillas one by one, put some cheese in it, add as much stuffing as you can, wrap it up and throw it bottom side (seam) in a non-stick baking pan. Once your pan is full, throw it in the oven for about 10-15 minutes, or until the cheese you sprinkled on the top has melted completely.